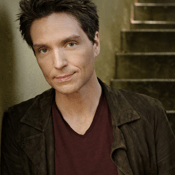 For over 20 years, Richard Marx has consistently and powerfully made his mark on the music industry. His debut single “Don’t Mean Nothing” and self-titled debut album kicked off his career as a solo artist in 1987 and went on to sell 3 million copies. His 1989 follow-up CD, “Repeat Offender,” became even more successful, selling over 7 million copies worldwide. From 1987 to 1990, he became the first male solo artist in history to have his first 7 singles reach the top 5 on Billboard’s singles chart, including the 1 hits “Hold On to the Nights,” “Satisfied” and the worldwide classic, “Right Here Waiting.” This feat remains unchallenged.